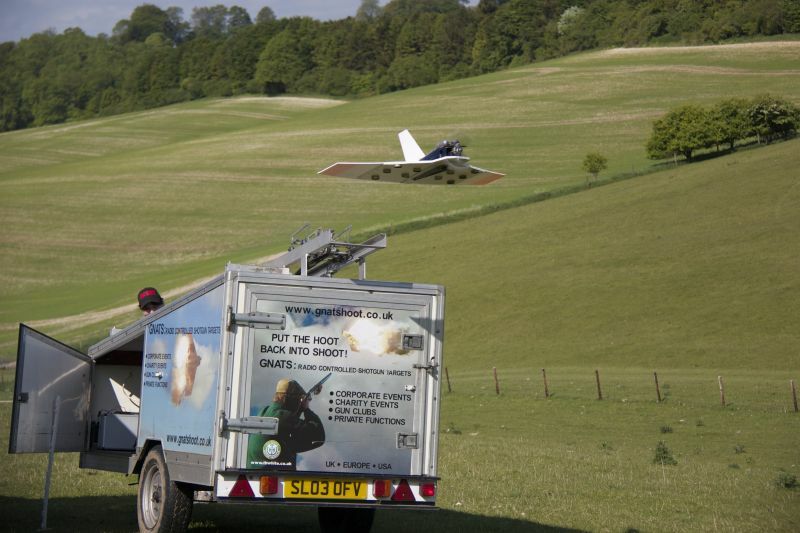 Gnatshoot UK Ltd have provided the "The Gnat", an exciting shotgun target at shooting events throughout the UK since the mid 90's. 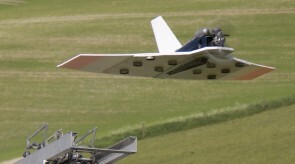 "The Gnat" is a radio controlled delta shaped aircraft that carries 10 friction sensitive explosive pods on the underside of the wing. These pods explode with an intensely bright flash and a loud bang when hit. Typically "The Gnat" is shot at by a team consisting of 4/5 guns over a total of 5 alternating passes by the aircraft, each detonated pod carries a number of points for the team. Although challenging it is possible to earn bonus points for downing the aircraft (typically the engine stops and "The Gnat" crashes). If you are outside of the UK and are interested in purchasing and operating a complete "Gnatshoot" system then please see the Contact page for the various ways you can get in touch. 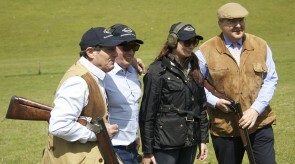 We have enjoyed the Gnats here at Raisthorpe Manor for a number of years at our Charity Shoots. 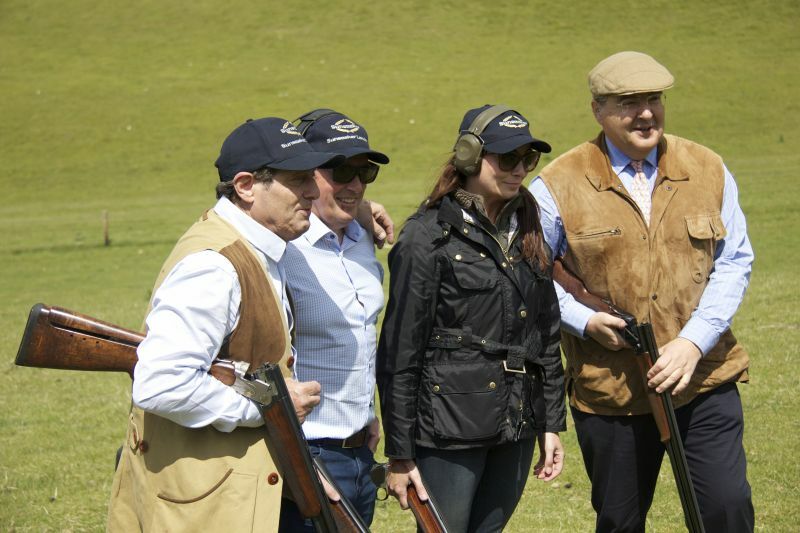 All of the guns look forward to it immensely as it provides an exhilarating alternative to clay shooting. The organisation is excellent and the backup and expertise from the GNAT team ensures that a great day is had by all !